The "All That Jazz" Chicago Revue brings together a talented cast of performers to deliver all the drama, humor, and excitement of 1920's "Chicago" to your next audience with our unique presentation of song and dance. 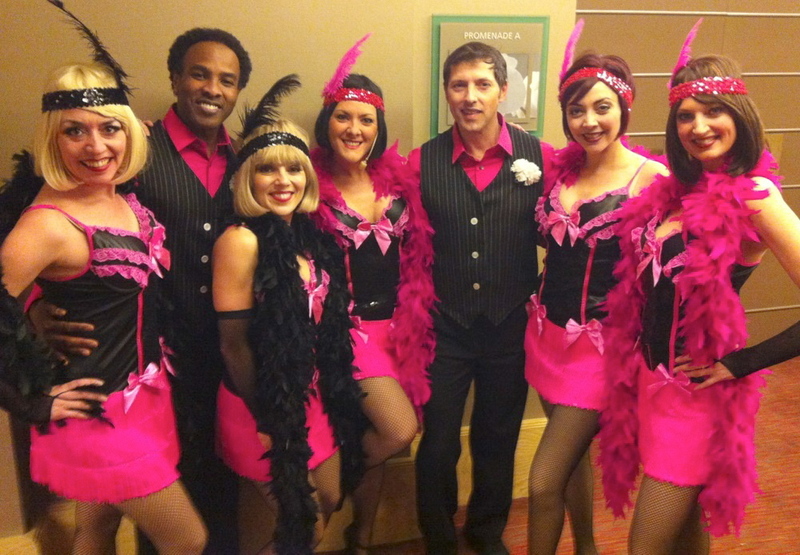 The revue, designed especially for the corporate event setting, is primarily driven by the recognizable music from the 1920's - including many classic tunes and medleys that evoke the spirit of Chicago and many other jazz, swing, and blues favorites. This group also performs many favorites from the musical/movie Chicago such as "All That Jazz" and "Razzle Dazzle," now an indelible part of the American songbook. Our cast brings to life a group of the most memorable characters, both the charismatic and the unseemly. With the addition of spectacular choreography and stunning costuming, these singers and dancers will enthrall your audience and transport them to a fantastic place: Chicago in the roaring 20's within a hot, hip, and contemporary context. This show features from 5 to 10 stage performers, up to a 45-minute show, and can be presented with live orchestra or CD tracks. It can also be performed in short vignettes/segments, or in one contiguous performance. Technical riders and specs available upon request.